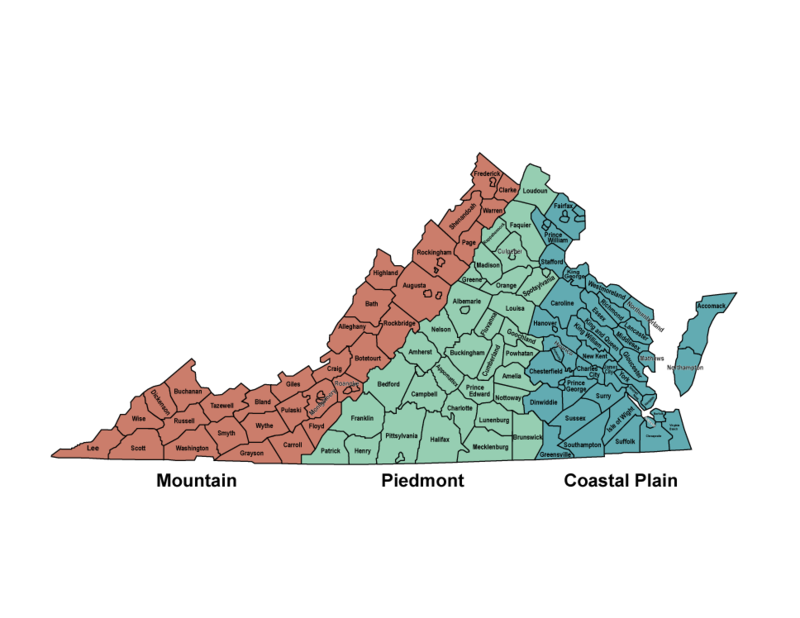 Anyone can access all mapped Virginia Conservation Lands and associated information with the Virginia Conservation Lands Database by using the interactive map viewer or by using the Virginia Natural Heritage Data Explorer. These tools also allow users to query the Conservation Lands Database and make maps with this and many other reference layers (boundaries, aerial photography, streams, etc.). research assistance on agricultural, financial, marketing, and other matters. The native plants list identifies native plant species currently recommended by the Virginia Native Plant Society, the Virginia Department of Conservation and Recreation, and other project cooperators for use in horticulture, land management, conservation, and restoration projects in Virginia. The list provides a selection of plant choices adapted to growing conditions in Virginia, focusing on those native species currently or potentially available in the nursery trade. For the most part, relatively common species have been included on the list, although a few less common species were also included due to their establishment in the trade and the general stability of their habitat in Virginia. Rare species were left off the list in order to protect the genetic integrity of naturally occurring populations of rare species and avoid the collection of rare plants. This Virtual Field Guide will let you explore Idaho's noxious weeds in two ways. You can either explore the Interactive Map of Idaho or simply visit the Noxious Weed List. The "Interactive Map of Idaho" displays the 4 Idaho Weed regions; Northern Idaho, Treasure Valley, Magic Valley and Eastern Idaho. You can roll over and highlight each of these regions. Click on one and a new page will come up with another more detailed map showing just that region with all of the counties identified. A list of County Weed Superintendents is available. The most interesting part of the maps identify specific locations where you can find 360 degree panorama views of a specific noxious weed. These panoramas are very high resolution and are interactive. In other words, you can move around in a circle and up and down and zoom in and out to examine details in the picture. All of the panoramas contain video sequences that further describe variables associated with the weed and the location. Photo galleries are also available on each panorama page. The "Noxious Weed List" contains even more specific information about each of Idaho's noxious weeds. One major feature is a multimedia photo gallery that displays a variety of high resolution images that dissolve to new views of various stages of growth and other identifying features of the weed. The page for each weed also contains a link to the associated panoramas you can also find on the region maps. In addition, links to external web sites are identified and an additional link to a specific location in the Network Center Reference Library where even more information and links about each weed will accumulate over time. The Western Association of Fish and Wildlife Agencies Crucial Habitat Assessment Tool (CHAT) was developed to bring greater certainty and predictability to planning efforts by establishing a common starting point for discussing the intersection of development and wildlife. The tool is managed by the Western Association of Fish and Wildlife Agencies (WAFWA). CHAT is designed to reduce conflicts and surprises while ensuring wildlife values are better incorporated into land use planning, particularly for large-scale linear projects. It is a non-regulatory tool and not intended for project-level approval. Arizona, California, Kansas, Montana, Nevada, New Mexico, Oregon, Washington and Wyoming have already developed state-specific information on priority species and habitat. In addition, the Southern Great Plains CHAT provides information specific to the lesser-prairie chicken, a species with habitat ranging across five states. 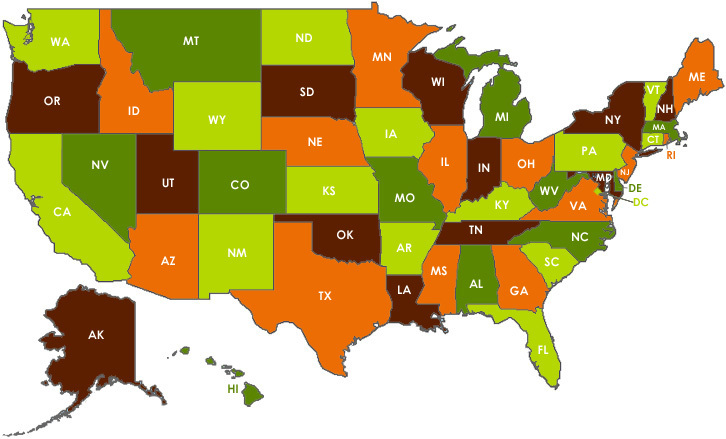 Other states are continuing to develop individual systems to provide additional state-specific information. The Western Association of Fish and Wildlife Agencies (WAFWA) represents 23 states and Canadian provinces, spanning from Alaska to Texas and Saskatchewan to Hawaii - an area covering nearly 3.7 million square miles of some of North America's most wild and scenic country, inhabited by over 1500 premier wildlife species. WAFWA is a strong advocate of the rights of states and provinces to manage fish and wildlife within their borders. The Association has been a key organization in promoting the principles of sound resource management and the building of partnerships at the regional, national and international levels in order to enhance wildlife conservation efforts and the protection of associated habitats in the public interest. We encourage your feedback on this first version of the Western Association of Fish and Wildlife Agencies CHAT. For questions or concerns, please contact Holly Michael. SUNUP visits the Woodward, Oklahoma for the 2010 Lesser Prairie Chicken Festival to see the amazing display put on by the rare but popular birds. We also learn what types of environments are best to invite the prairie chickens to nest in. A modern water well is an expertly engineered and constructed method of delivering groundwater for drinking, irrigation, and other purposes. And Wellowner.org is your one-stop resource for information relating to private water well systems and groundwater. Learn how to protect this precious resource and safeguard your family’s health through properly constructed and maintained water well systems. This website provides information on Well Water Basics, Maintenance, Water Quality, Ground Water and lists Contractors in your area! Click here for more. Where are different milkweed species growing in the West? Where are monarchs occurring in the West? Where are monarchs breeding in the West? When is milkweed emerging and senescing (dying back) in the West? How does milkweed phenology (life cycle) differ by species? When is monarch breeding occurring in specific areas/regions of the West? What types of habitats are different milkweed species associated with? Learn about monarchs, their host plants, and ongoing conservation efforts for these species. What is White Nose Syndrome in Bats and Why Does it Matter? “White-nose Syndrome (WNS) is a devastating disease of hibernating bats that has caused the most precipitous decline of North American wildlife in recorded history. Since it was first discovered in 2006, WNS has infected six species of insect-eating bats in the northeastern and southern U.S., causing declines approaching 100% in some populations; estimated losses have exceeded 5.5 million bats from 2006 to 2012. The implications for US agriculture and silviculture are potentially severe. The Wyoming Interagency Spatial Database & Online Management (WISDOM) System is a user-friendly tool that will allow any interested individual to discover, consider, and assess Wyoming’s wildlife resources. WISDOM is an easily accessible web-based delivery system for providing a set of natural resource data layers. This non-regulatory, landscape-level information allows a user to visually explore the distribution of important Wyoming wildlife habitat, identify wildlife migration corridors, identify potential stressors to wildlife, and other relevant data. WISDOM is a user-friendly tool allowing any interested individual to discover, consider, and assess Wyoming’s wildlife resources and other natural resource data layers. This non-regulatory, landscape-level information allows a user to visually explore the distribution of important Wyoming wildlife habitat, identify wildlife migration corridors, potential stressors to wildlife, and other relevant data. WISDOM is intended to provide useful, landscape-level information during the early stages of project planning. WISDOM preserves private land ownerships confidentiality and sensitive records for certain species locations are generalized to the township level. At Your-Landsource.com, you will find the most extensive collection of real estate properties across the United States on the web. Choose which state you would like to search for property in. You will then be able to search through our easy to use database to find whatever you may be looking for... from hunting land, farmland & ranches, to that beautiful piece of waterfront recreational property.